North British Rly 4-4-0 No 256 Glen Douglas, Riverside Museum, Glasgow, Sat 19 November 2011. The Glen was built in 1913 by the NBR at its Cowlairs works, Glasgow. It was not displayed in the Kelvin Hall museum, but was at the Scottish Railway Preservation Society museum at Bo'ness. 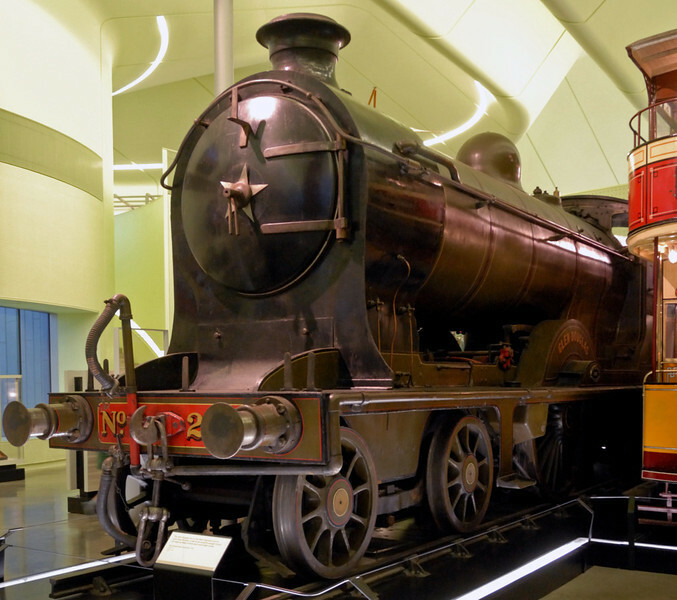 That museum is now home to Great North of Scotland Rly 4-4-0 No 49 Gordon Highlander, which did use to be at Kelvin Hall.